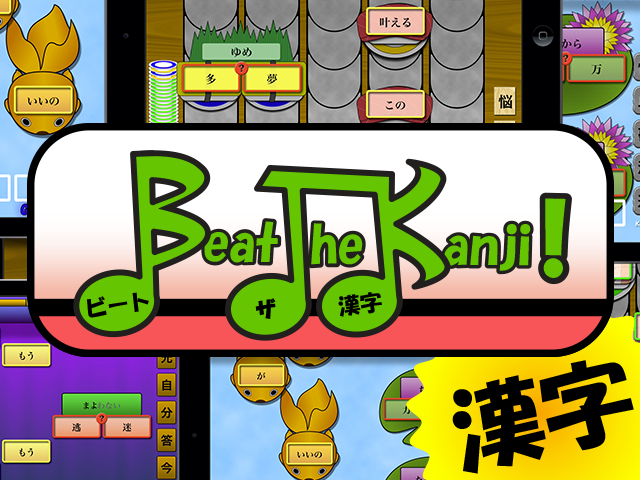 Beat the Kanji of the Japanese language by playing a JPOP music rhythm game iOS app. Get to know the kanji as you play a fun music game with professionally produced songs containing Japanese lyrics sung by native Japanese singers. The Japanese lyrics in the game are designed to give you exposure to the kanji as you play. "Beat the Kanji" can help you stay motivated to stick with it and keep learning - it's all about repeated exposure.